Thompson Accountancy are friendly, professional accountants in Cannock. 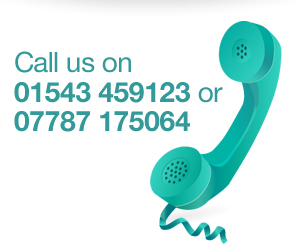 We're here to help with your accountancy and taxation needs. Thompson Accountancy have over 25 years’ experience helping people and businesses in the Cannock area with their accountancy and taxation requirements. Our friendly, professional approach, with out of hours appointments, home visits and highly competitive fees, has enabled us to build up a loyal client base. We enable you to meet filing deadlines and avoid late filing penalties. You can benefit from our experience with online filing, resulting in you knowing your tax liabilities quickly and accurately, with faster tax repayments. Limited companies have to file a copy of their accounts with Companies House within nine months of their year-end or incur a penalty of £150, increasing to £1500 if the accounts are over six months late. We plan our work to prepare accounts in good time and avoid late filing penalties. We also prepare abbreviated accounts for filing with Companies House, so that anyone carrying out a search on your company can only obtain the minimum information required by law. We will also file annual returns and other forms with Companies House on your behalf. We can help you with registering for VAT and completing your online VAT Returns. Did you know there are various schemes implemented by HMRC that can make your VAT record-keeping simpler and easier? There are even circumstances where you can benefit financially by registering voluntarily. We will help meet your statutory obligations to file online payroll returns with HMRC and avoid late filing penalties. Contractors in the construction industry need to make monthly returns of payments to subcontractors, with penalties from £100 for late returns. In serious cases, HMRC may charge penalties of up to £3000 or 100% of the tax due, if higher. We file CIS Returns online, avoiding the risk of postal delays which could result in penalties. A limited company structure may be the most beneficial for your business, with the advantages of limited liability and lower taxes. We would review your circumstances and, if appropriate, assist you with the formation of your company. In 2009/10, over three million pensioners were paying too much tax on savings income. If you think this could apply to you, we will be happy to go through your income figures to check if you are entitled to a repayment. Many employees incur expenses doing their jobs without realising they may be entitled to tax relief on those expenses, including the costs of tools, laundry, professional subscriptions and travel expenses. The government’s approved mileage allowance for cars and vans is now 45p per mile and if you are paid less than this, you can claim tax relief on the difference. In all cases, the initial consultation will be free and we will agree a fee with you in advance before submitting your claim.